As Spring approaches and the rays are heating up the trails, I was thinking of the excitement of getting my bike tuned and reconnecting with our parks and lakes again. 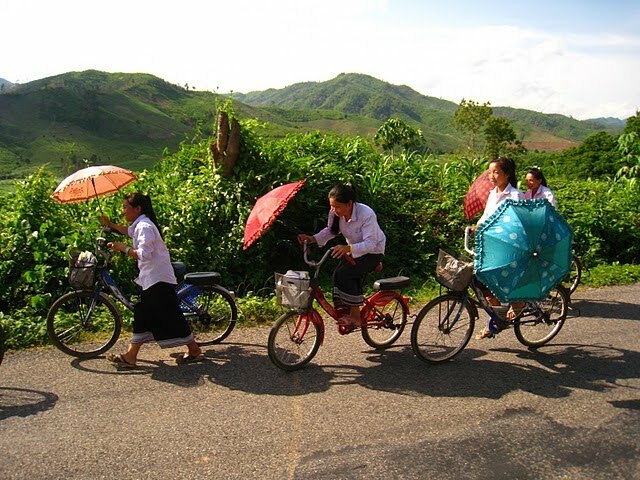 I was also thinking about how many Lao folks I actually see biking here in the Midwest versus the locals who ride them everywhere for work, school, and leisure in Laos. Then I’m hit with the fact of how much I miss biking along the khem khong (Mekong River side) and with the open air across vast miles of rice fields and trees in the countryside of my parent’s village. 1. Spring, Summer, and Fall bring out the most colorful trails in Minnesota’s parks and lakes. Year round in Laos, especially after monsoon season, brings out the most beautiful untouched scenery you can grasp. 2. Minnesotans and Lao appreciate their green landscapes and rivers that make biking not only accessible but more enjoyable to get around. 3. Minnesotans and Lao find it extremely easy and cheap to bike around town. Nice Ride Bikes for rent in MN: $5/day (not including trip fees). Bikes for rent in Laos: less than $1/day…much more bang for your buck, of course. 1. 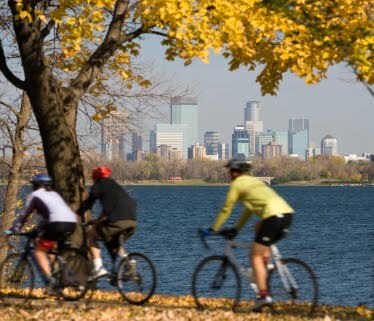 Minnesotans have designated trails and policies that restrict when and where you can bike. The Lao will bike anytime and anywhere they can literally plow their bikes through. 2. Minnesotans almost always have their safety gear on: helmets, knee pads, biking shoes on full alert. For the Lao, having shoes on and a working bike is all you need. 3. Minnesotans bike shorter distances to get from A to B or longer on paved paths for leisurely treks. For the Lao, if you’re not in the city, then you could be biking for quite a few miles in the countryside to get from A to B. 4. Minnesotans have the snazziest locks for their fancy bikes that will most likely get stolen if not secured. For the Lao, you can bring it in or leave it parked outside the local food stand and be completely safe, because unless it’s unlocked BMW, the locals won’t desire it. So with the mass wave of automobiles and mopeds filling the Vientiane capital, biking will at least still resonate with the locals and the countryside folks who still find biking useful. 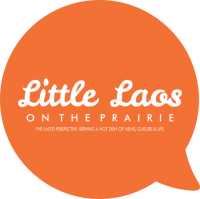 And hopefully, the Lao here in Minnesota can reconnect with what once was a daily habit of their lives back in Laos. How about it? Get your bike tuned and let’s ride together! Previous PostWhat's in a Lao Name?